If you're going to pursue a career in graphic design, videography or web development, there are some essential tools you need to have - and all of them are included in the Adobe Creative Cloud. And whether you need to brush up on Illustrator, Photoshop or InDesign - or are a beginner to them all - your new designer's bible will be the Adobe CC A-Z Lifetime Bundle. 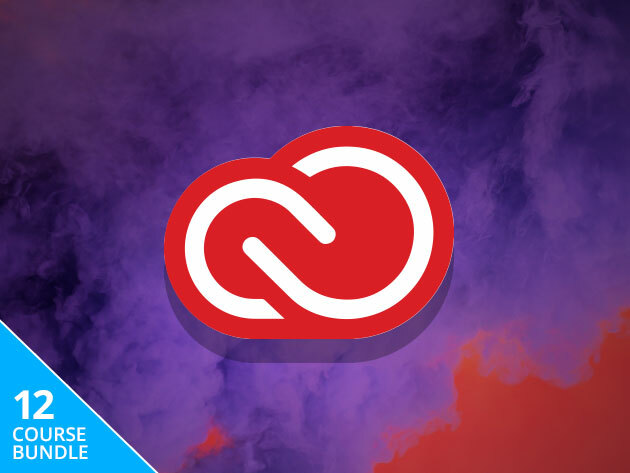 In 12 different courses, this series covers all the big software tentpoles of the Adobe CC suite. You'll get a rundown on how to fine-tune your images in Photoshop and bring your own graphics to life in Illustrator and Adobe After Effects. Comprehensive beginner and master classes for InDesign show you how to put those images on any page, web or print. Videographers will get the most out of walkthroughs for Premiere Pro, and a course on Adobe XD gives the foundation for UI/UX web design. The grand total for all these courses separately would be well over $2500, but there a new "pay what you want" offer for the Adobe CC A-Z Lifetime Bundle. Make a bid, and take home some or all of the package.